Known as one of the best 4D ultrasounds on the market, the GE Voluson e6 ultrasound remains as an esteemed machine for its exceptional image quality and unparalleled premium 4D imaging. Ideal for growing practices and complex clinical demands, the GE Voluson e6 ultrasound is based on the innovative Radiance System Architecture, delivering excellent 2D and 3D/4D image quality and color Doppler to address your clinical needs. The GE Voluson E6 is an excellent 4D imaging ultrasound, and it is more budget-friendly than the premium Voluson E8 Expert 4D ultrasound system. 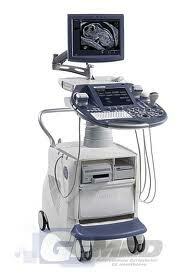 Voluson ultrasounds remain our top recommendations to buy a 4D ultrasound machine. No other manufacturer has met its technologies, image quality, and frame rate… and GE continues to evolve by introducing new technologies. The Voluson E6 has a slightly lower price than the Voluson E8, but the quality is as excellent and is our top recommendation for 4D ultrasound systems.